Even as mass shootings become more prevalent, the response from Washington has almost become a tradition: Democrats furiously demand immediate legislative action on gun control while Republicans are reluctant to place heavier restrictions on gun owners. The shooter who opened fire Sunday night on concert-goers in Las Vegas had more than 15 rifles in the hotel room from which he indiscriminately sprayed bullets, a law enforcement official told CBS News. More than 58 people are dead and more than 400 people were wounded. While it's unclear how the deceased gunman, 64-year-old Stephen Paddock, obtained the weapons he used, Nevada has fairly lax gun laws. Fully automatic weapons are legal in the state as well as in some other states, reports CBS News' Don Dahler, although they are heavily regulated by the federal government. In Nevada, dealers must have a Class-III license and anyone interested in owning such firearms must submit an an application to local police, undergo a federal background check, and pay a $200 fee. No fully automatic weapons made after May 19, 1986 may be legally sold or owned, Dahler reports, and so the weapons themselves are both old and much more expensive than other firearms. They also must be registered with the federal government. It's also not clear whether any federal gun control law would have prevented the attack. Still, many Democratic lawmakers are frustrated that Congress has done nothing in recent years to address gun violence. House Minority Leader Nancy Pelosi, D-California conveyed that message in a letter Monday to Speaker Paul Ryan, R-Wisconsin, by calling for the creation of a Select Committee on Gun Violence. "Today, our nation woke up to news of the worst mass shooting in our history, claiming the lives of at least 58 innocent men and women in Las Vegas. Nearly 12,000 Americans have been killed by guns in 273 mass shootings in 2017 – one for each day of the year," she wrote. "I urge you to create a Select Committee on Gun Violence to study and report back common sense legislation to help end this crisis." President Trump campaigned last year defending Americans' Second Amendment rights and against Hillary Clinton's agenda to tighten gun laws. Earlier this year, with the help of the GOP-controlled Congress, Mr. Trump reversed a rule finalized in the last days of the Obama administration that was part of the implementation of a 2008 law that Congress passed in the aftermath of the Virginia Tech shooting. The rule would have allowed the Social Security Administration to provide information to the gun background check system of people who have so severe a mental disability that they can't perform any kind of work and can't manage their own benefits. Republicans not only have the ability to roll some of these rules back, but they could seek to loosen some gun laws. Rep. Jeff Duncan, R-South Carolina, for example, is trying to revive a measure that would make it easier to purchase gun silencers. He says that they are used by target shooters and hunters to protect their hearing. Even if it were to pass the House, it's unclear if it could clear the 60-vote threshold in the Senate. A CBS News survey from June 2016 found that 54 percent at the time wanted stricter laws covering gun sales, 33 percent wanted them to be kept as they are and 11 percent wanted them to be less strict. With the GOP in the majority, Congress is unlikely to consider gun control measures any time soon. In June 2016, after 49 people were killed in the Pulse nightclub shooting in Orlando, Florida, Democrats pushed legislation nicknamed "no-fly, no-buy" that would allow the FBI to bar firearm sales to people on the agency's terrorist watchlists and one that would expand background checks ahead of gun purchases. 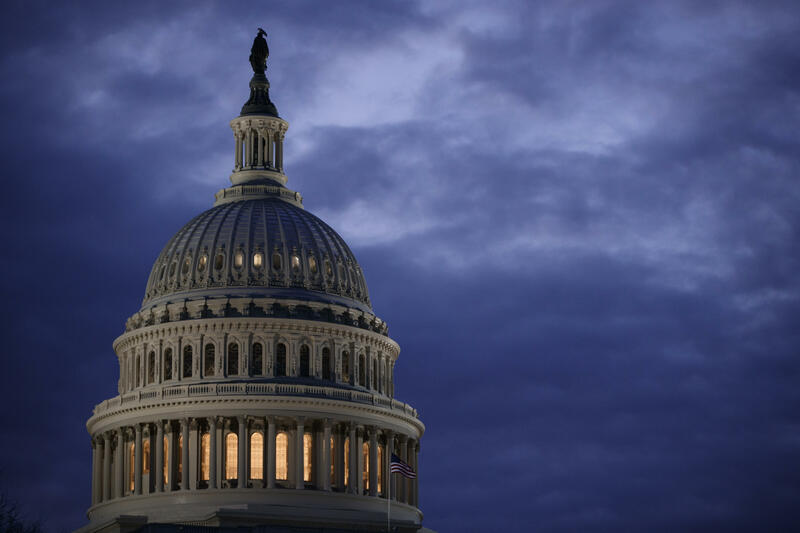 The no-fly, no-buy proposals failed in the Senate and never came to a vote in the House even though 86 percent of voters backed such legislation, according to a Quinnipiac University poll at the time. During the 2016 campaign, Mr. Trump indicated that he was in favor of "no-fly, no-buy" legislation. A day after 14 people were killed in San Bernardino, California in Dec. 2015, the Senate rejected a series of gun control bills. One would have strengthened treatment for mental illness and substance abuse disorders. Another was the no-fly, no-buy proposal and the other would have expanded background checks for guns purchased online or at gun shows. The Senate previously voted down that last bill, offered by Sens. Joe Manchin, D-West Virginia and Pat Toomey, R-Pennsylvania, in 2013. Coincidentally, Democrats had planned on the day of the San Bernardino shooting to lobby lawmakers, along with physician advocates, to reverse a funding ban on gun violence research at the Centers for Disease Control and Prevention (CDC) that has been in place for nearly 20 years. Congress renewed a ban, dating back to 1988 that was set to expire, on plastic firearms that could go undetected in X-ray machines or by metal detectors. It's the last major gun-related bill that has been signed into law in recent years. Four months after the Newtown massacre that left 26 people -- children and school staff members -- dead, the Senate considered the Manchin-Toomey measure. It was a bipartisan amendment that would have required background checks on all commercial gun sales, but it failed by only a few votes in the Senate. Lawmakers rejected it in a 54-46 vote. They wanted to attach the amendment a bill that would have tightened security in schools and cracked down on gun trafficking. Amendments that would have banned high-capacity clips or limited the size of magazines to 10 clips also failed. Not long after the January shooting in Tucson that left six dead and seriously wounded Rep. Gabrielle Giffords, D-Arizona, longtime gun control advocate Rep. Carolyn McCarthy, D-New York, introduced a bill in the House to ban high-capacity ammunition magazines to a maximum of 10 rounds and would close a loophole in the assault weapons ban that had expired in which magazines made before the law took effect could still be sold or transferred. Similarly, Sen. Frank Lautenberg, D-New Jersey, introduced the same 10-round magazine measure in the Senate along with two other bills that would have required sellers at gun shows to perform the same background checks that licensed gun dealers must conduct and one that was no-fly, no-buy. In the wake of the 2007 Virginia Tech massacre that left 32 people dead, President Bush signed into law in January 2008 a measure the Democratic-controlled Congress passed a few weeks earlier in December that expanded the FBI's National Instant Criminal Background Check System and required agencies to keep up-to-date records on people with mental illnesses or felons. The law that President Clinton signed into law 10 years earlier that banned the manufacture, use, import and possession of 19 types of assault weapons expired. Democrats on Capitol Hill tried to renew it, but were unsuccessful with a Republican-controlled White House and Congress. CBS News' Andres Triay contributed to this report. The widow of a decorated New York City firefighter, killed while serving in Afghanistan, is speaking out for the first time since his death. Staff Sgt. Christopher Slutman was one of three Marines killed by a Taliban bomb this month. "CBS Evening News" anchor Jeff Glor spoke with Slutman's widow and two men who fought fires with him.